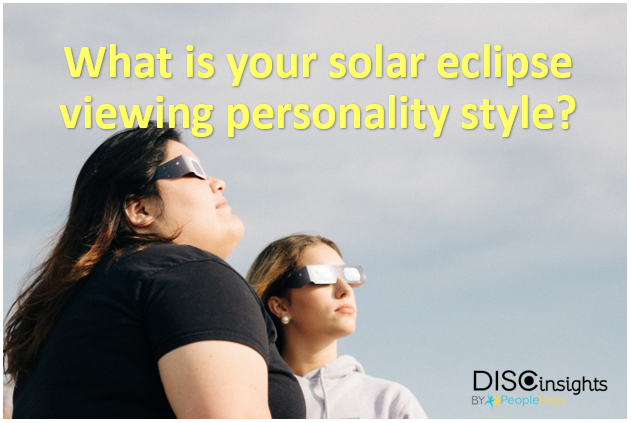 What is Your Solar Eclipse Viewing Personality Style? I remember years ago hearing that the moon somehow affected behavior. During "full moon" cycles, more people would be admitted to emergency rooms, more crimes took place, and generally just more crazy things happened. There may be some truth to this, as the word "lunatic" comes from the word "lunaticus," which means "moonstruck". I surmise that perhaps it was simply the extra light during the night which encouraged more nocturnal activities, both bad and good. If there is any truth to this then think how much more important the total Solar Eclipse would be. In past times, civilizations took this as an omen, either bad or good, and planned their lives accordingly. Today we scientifically know why and how it happens. We can even predict it with great certainty. The one thing that might not be as obvious - unless you are trained to observe people - is the personality style of the viewers who will be outside for their glimpse of history. 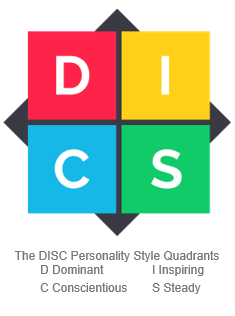 PeopleKeys is the leading, worldwide provider of the DISC Personality Profile, and we organize personality styles based on varying levels of the 4 Personality Traits. I can tell you the behavior of a "D" because I am one. I've waited too long to make any real plans because I am always so busy, and if i'm not then I take on more! So now I am going to overpay for a couple pairs of eclipse glasses from Amazon (or anywhere I can still find them) because a "D" doesn't want to be without once they determine they want to do something (or have something). Is this you? The high "I" style is probably saying right now, "Dang, do you mean the solar eclipse is on Monday?" Our resident high "I" has already requested a "group" time off Monday afternoon to go out and observe the eclipse together. He already knows where he is getting pizza and pop, but he doesn't have any eclipse glasses. Doesn't matter, a party is a party. Don't go blind, John! I have a good friend Joe who is a high "S." For Joe it is a great family time and event - a vacation even! He bought glasses 2 months ago, a pair for himself, his wife and son, and even another good friend. Too bad he didn't have more left for this friend! Is this your style? If you are a "C" style, you think the "D" and "I" styles are crazy for not doing more planning because you did research, found the right glasses at a good price, and maybe even bought a backup pair just in case. You may even know that there is a specification for this type of product, the ISO 12312-2 international safety standard. If you know this, you are a "C!" How would you prepare for a solar eclipse?